Last night, the NCAA unveiled the men’s basketball tournament bracket for 2016, which means it’s time for another DL Bracket Challenge. 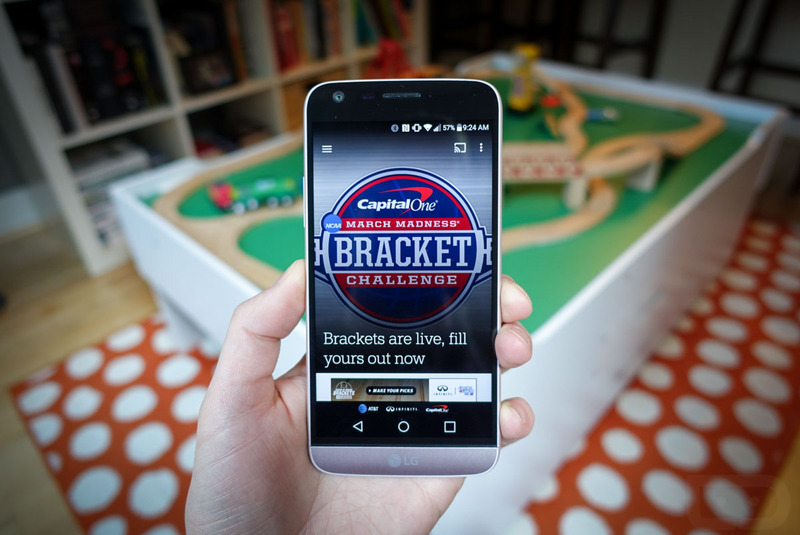 But before we get there, make sure you take a look at the updated NCAA March Madness app on Android. The app was recently updated to include a redesigned, Material-heavy experience on both phones and (especially) tablets, plus it includes Google Cast support for the first time. And don’t forget that this app is major ? for the fact that it lets you watch every single game on mobile. With Cast support, you can be almost anywhere and stream this year’s tourney games to a monitor or TV. All you need is the app, a cable subscription, and a TV that is hooked up to a Chromecast or has Cast-support built in. That’s pretty awesome, actually, especially for those of us who may not be at home during the tournament. The update is available now, so feel free to grab it.